Actual size 5.5″ x 7.5″ on 90lb. watercolor paper and more detailed than what the scan shows. Click for larger image. 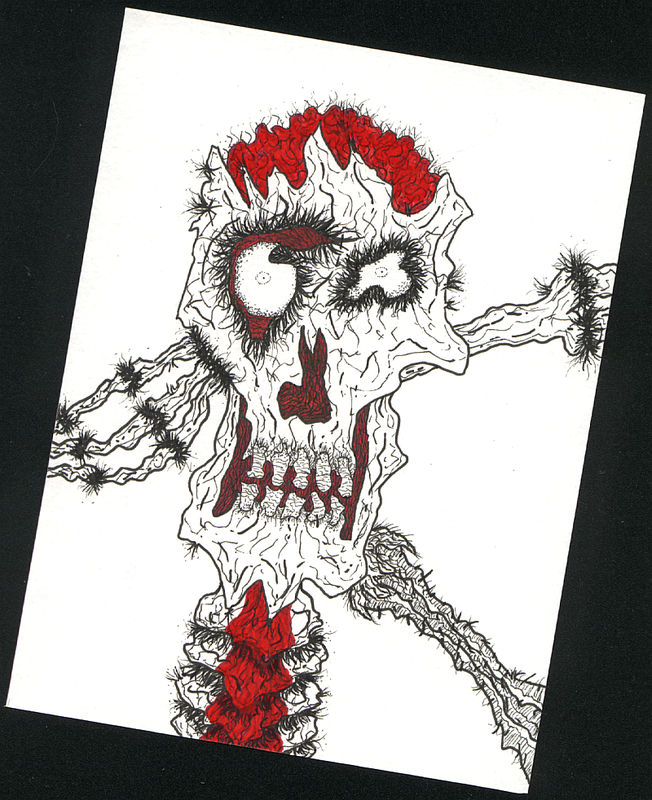 This entry was posted in 40's, adult themes, Fuzzy Giveaway 2011, Fuzzy Skeletonian, marker, Mixed-Media, nose bleed, OPG 2011, skulls, watercolor by Vincent. Bookmark the permalink. All I keep thinking about is Fieval Goes West when that dog goes on about the LAAAAAAZY EYE! All content and original artworks Copyright © Edgar A. Jones, III, all rights reserved.